It's a Ryman Premier top of the table clash as Bognor Regis Town welcome Dulwich Hamlet to Nyewood Lane. The Rocks have won 5 of their last 6 with just 3 goals conceded. 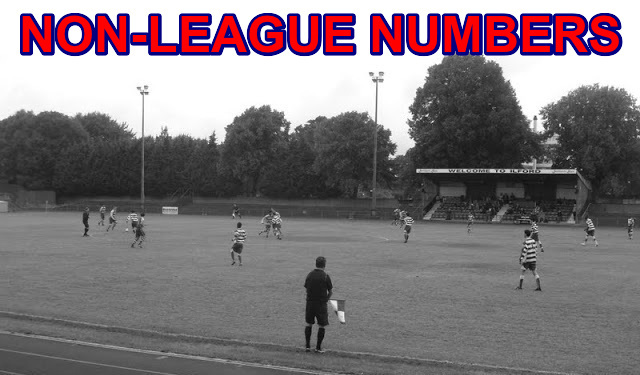 The South London side have won 4 of 6 and scored 16 goals in the process. A victory for the home side would leap-frog them over their opponents. From being play-off finalists last season Hendon could slip into the relegation zone with a defeat or a draw tomorrow at Tonbridge Angels - this depening on the results of Brentwood Town and Needham Market. From winning just 1 game in their opening 17 league games The Marketmen have won their last 3 which has seen them push up the league. They are best priced at a value 29/16 to win at Farnborough tomorrow who lost 2-1 at VCD Athletic on Tuesday evening. It was The Vickers first league win of the season! Two ex Ryman League sides face off at The Enclosed Ground tomorrow afternoon. 2013 Champion's Whitehawk host 2013 play-off winner's Concord Rangers in the Vanarama South. The Hawks recorded a marvellous 2-6 victory at 2015 play-off winner's Margate last weekend which followed their 5-3 FA Cup victory over Vanarama National league side Lincoln City. They travel to 2014 Champion's Wealdstone on Monday evening before their eagerly awaited FA Cup tie with another former Isthmian League side Dagenham and Redbridge on Sunday 6th December. Concord are in good form themselves winning 3 from 4 with their only defeat against 2015 Champion's Maidstone United. Rangers are 6/1 to win on the South Coast tomorrow with a home victory odd's on at 8/15. AFC Hornchurch have won 7 out of their last 8 league games in Division One (North) - they make the trip to Brightlingsea Regent tomorrow who themselves are in a good run of form losing just 1 in their last 8 and winning their last 4 league games.